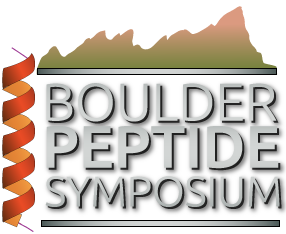 BOULDER — AmideBio LLC, a biopharmaceutical company in Boulder that makes peptides used in research to discover therapies for diabetes, has received a $338,387 grant that it will use to further develop a treatment for hyperinsulinism. Hyperinsulinism is a disease in which infants and newborn babies suffer from persistent hypoglycemia, or low blood-sugar levels, that can lead to seizures and brain damage. AmideBio received the two-year grant from the National Institute of Health through a Small Business Innovation Research grant. At a BizWest CEO Roundtable on life sciences in April, Plam said the company had begun working on a therapy to treat babies whose pancreases create too much insulin, driving down blood-sugar levels. The condition is considered an “orphan disease” because it affects fewer than 200,000 young people. Plam said developing a drug for an “orphan disease” is appealing because it requires less investment. But obtaining funding to advance the drug had been negatively affected by government budget cuts. Now, with the grant in hand, AmideBio plans to develop and produce a series of glucagons and test them in hopes of identifying one suitable for clinical testing for long-term treatment. Glucagon is a peptide hormone produced by the pancreas that raises the concentration of glucose and fat in the bloodstream to offset too much insulin. Glucagon has been shown to be an effective treatment for hyperinsulinism, but its inherent instability has limited its use due to complications associated with its administration through pumps, according to a statement by AmideBio. Using AmideBio’s BioPure process, the company has produced glucagon analogs that have in-use stability of at least six months and can be stored for extended periods of time.